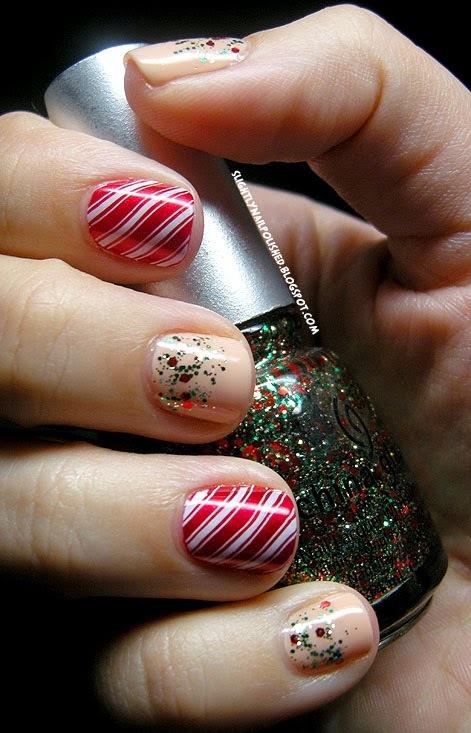 Slightly Nail Polished: Be-lated Christmas Eve Design! I've been sick, you guys. *sniffles* Feeling MUCH better than I did, but I'm just now getting back to the real world and I realized 2 things. One, I forgot to post on Thursday because that was the day the flu hit me hard. 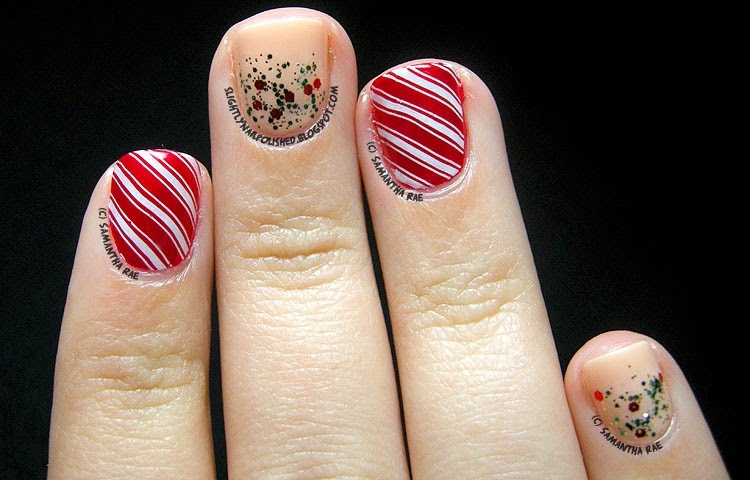 And two, I never posed my Christmas Eve design! Na-what?! I find that for Christmas Eve I usually go for a classic, beautiful design rather than something cartoony and cutesy. And this year was no exception. 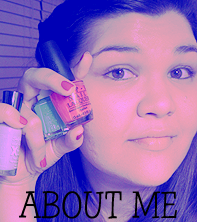 And I simply had to use China Glaze Party Hearty this year. I'd been meaning to use it since I got it last holiday season and I didn't want to let Christmas pass without using that beautiful mix of red and green glitter. Because of work I had no choice but to do this design 2 days in advanced! That was 2 shifts people. And I am very hard on my hands at work. So hard that I usually have tip wear by the end of day one. But I was extra careful and ended up only needing to add topcoat to get the shine back. They looked beautiful on Christmas Eve. Thanks for baring with me these past few months. I feel like I've been slacking more than a little here. And it kills me that I did almost no Christmas designs. :( So, one of my New Years Resolutions is to give this place more attention. And by gum I'm gonna try my best. Send me luck!